Recently a new student asked me: “Why do we care about breath in yoga anyway?” This caused me to stumble for a moment as different possible answers rushed through my head. 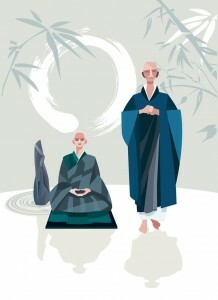 The trick is not to overwhelm a newcomer with too much detail, so instead I told him a zen story I’ve read somewhere (I don’t know if it’s truly zen since it involves some violence). First reason to care about breath: If we don’t breathe, we die. In fact, research shows that “pulmonary function is a long-term predictor for overall survival rates in both genders” (29-year follow-up to the Buffalo health study) and that “the pulmonary function measurement appears to be an indicator of general health and vigor and literally a measure of living capacity” (Framingham study). It basically means that the better your lungs work, the longer you will live. 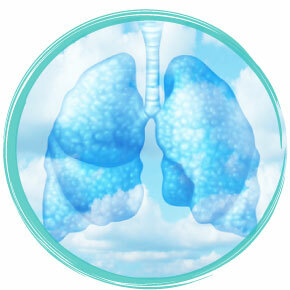 The question is – how do you increase your lung capacity? Will exercise do it? Certainly, compared to sedentary folks. This study found that “people with sedentary lifestyles had lowest pulmonary function parameters.” Interestingly, the same study found that “running does NOT improve respiratory strength”, while yogis performing pranayama regularly “had significantly higher peak expiratory rates presumably due to respiratory muscle conditioning”. Which means that those performing pranayama regularly will have better respiratory efficiency and stronger respiratory muscles. Second reason: Efficiency of the blood-oxygen exchange. Change the body position in relation to the ground (to shift the blood distribution within the lungs) and breathe there for some time. Yoga practice is unique in a way that throughout the practice we dramatically change the body’s position in relation to the ground. We do some poses in the upright position, some in prone (on the stomach), some in supine (on the back), we bend sideways and even stand on our heads. Altering the body position shifts the blood distribution within the lungs and facilitates better blood-oxygen exchange (you do need to breathe deep and stay in the position for some time for that to happen). To sustain life, the body must produce sufficient energy. Energy is produced by burning molecules of food, which is done by the process of oxidation (combining food molecules with oxygen). The amount of energy produced depends on the quality and amount of fuel (food) and the supply of oxygen (ventilation). It is like a slow burning furnace that releases energy from the constant supply of fuel by slowly combining it with oxygen. Imagine that you are spending your winter vacation in a ski chalet with an old-school wood-burning furnace. 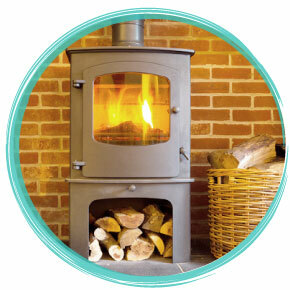 To keep the heat output at a consistent level, you would need to ensure a steady supply of both logs and oxygen. If you don’t put enough logs in, the fire will die out. If you cram your furnace with too many logs at once and don’t stimulate the fire by supplying oxygen, the fire will die out. If you put low quality fuel in your furnace, you will stink up your entire chalet and fill it up with smoke – you get the idea. It’s a similar process for the body’s energy release. In the yoga tradition the whole science of pranayama (which means “life force expansion”) is about managing your energy. There are certain practices that help you build and nourish the entire system, and others that help you eliminate the unwanted stuff (it’s called brhmana/ langhana model). Forth reason: Stress management and organ function. Your Autonomic Nervous System (ANS) regulates individual organ function and homeostasis, and for the most part is not subject to voluntary control (except for breathing). The ANS is divided into two parts called the Parasympathetic and Sympathetic Systems. PNS puts you into a “rest and digest” mode, while SNS activates the “fight or flight’ response. Every time you Inhale, you stimulate your SNS (“fight or flight”) slightly. Every time you exhale, you stimulate your PNS (“rest and digest”). When you are stressed or excited, your breathing becomes accentuated (you hyperventilate), because your body is getting ready to fight or flee, which means that higher levels of oxygen will be needed. If you do something active (like exercise), you will discharge this accumulated energy; if not, it might create an “oxygen overload” in the blood stream. Possible results – irritability, lightheadedness, increase in anxiety. If the sympathetic system is consistently stimulated without physical release of excess energy, the whole system becomes imbalanced, overstimulated and overloaded. In yoga we learn how to balance SNS and PNS through breathing practices and breath-centered asana. The intricate science of breath ratios shows us how to work with the Inhalation and Exhalation to gain access to our autonomic nervous system, and the 5 Vayus model helps us work with specific physiological processes (circulation, digestion, immunity, etc.). The brain requires a lot of oxygen to function properly. 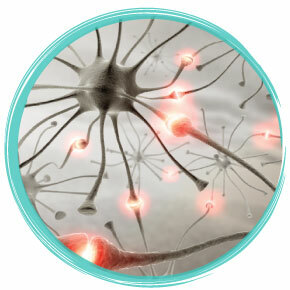 It is packed with neurons that are constantly active, communicating and processing information. It is said that the brain uses about 25% of all oxygen inhaled, but only accounts for about 2% of the body weight. So if you want to maintain your mental sharpness, ability to make sound decisions and strong memory, you need to make sure that your brain gets enough oxygen to support it’s function. In your yoga practice you can work on increasing your breathing capacity to ensure proper brain oxygenation and promote mental focus and clarity. If you can’t breathe well, you can’t sleep well. A common sleep disorder called sleep apnea, which is caused by interruptions in breathing during sleep, leads to poor sleep quality and makes you tired during the day. But even if you do not have sleep apnea, your sleep problems might be related to subtle breathing issues. In a recent study sleep researchers in Albuquerque observed 20 men and women with chronic sleep issues that did not have sleep apnea. The report found that “almost all of the awakenings turned out to be preceded within a second by an abnormal breathing process — which led to the awakening” This new finding, if replicated, suggests that more subtle breathing disorders might be the cause for insomnia. Simple lifestyle changes and specific yogic practices can help you sleep better by calming the system (by doing langhana practices), cooling the body (by working with nasal laterality) and strengthening your respiratory musculature (by working with breath ratios and techniques). 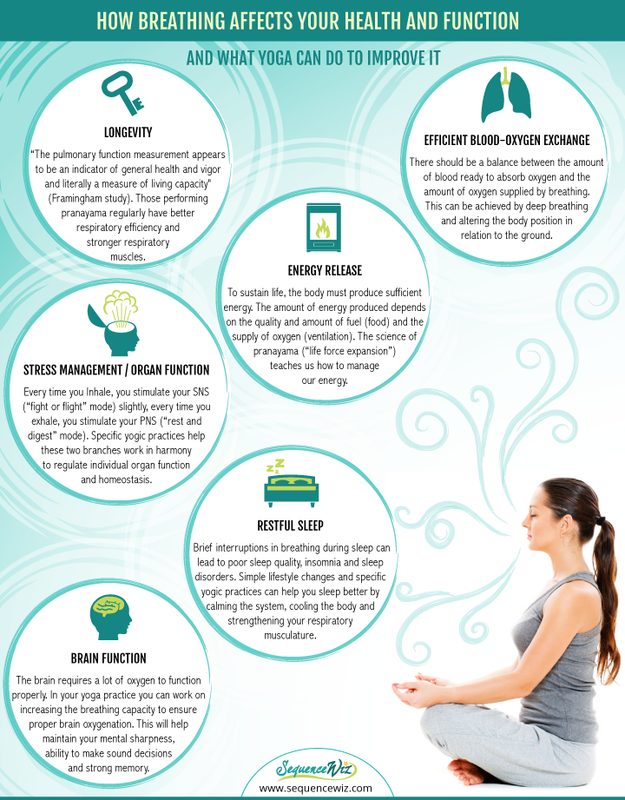 These are just few examples that demonstrate how important breathing is for every aspect of our physiological functioning. Yogis have developed specific strategies and techniques to improve our functioning in each one of those areas. If you choose to work with the breath, it is not enough to do some Alternate Nostril Breathing here, some Kapalbhati there. There is a whole science behind choosing the appropriate practices and building a yoga class or private session around them. Starting next week we will embark on a fascinating journey of exploring the yogic view of our energy and physiology and what we can do to affect our physiological functioning. Tune in! Log in to your Sequence Wiz account to get the Breathing and Health handoutGo to Forms/Handouts on your Sequence Wiz home screen and you will find a pdf file of the Breathing and Health handout. It’s yours to keep and/or give to your students. Wonderful, professional, clear and understandable article – as always! Thank you, Olga! Great post! I will definitely be using this as a resource to help my students understand the importance of breathing in yoga.